ONLY BAHIA VISTA CONDO FOR SALE UNDER $400,000! PARADISE FOUND! This light and bright 4th floor condo in Bahia Vista has sweeping water views over the private beach and Intracoastal Waterway! The seaside balcony is the place to be with swaying palm trees, dolphins frolicking and nightly sunsets! Pride of ownership is self-evident from the moment you walk through the door! This lovely condo features a brand-new kitchen with custom, shaker cabinets and granite counters! The owners even added an extra set of cabinets in the dining room for entertaining. Cool, tile floors and almost new Coastal furnishings are featured throughout this vacation get-away! The master suite has a large walk-in closet and sliding glass doors opening to the balcony. Guests will enjoy a sunny guest bedroom with walk-in closet. Other highlights include new 6 panel interior doors, tiled balcony, laundry room with extra cabinets, 2016 A/C, 2017 water heater and so much more! Ideally located on the island of Isla Del Sol! 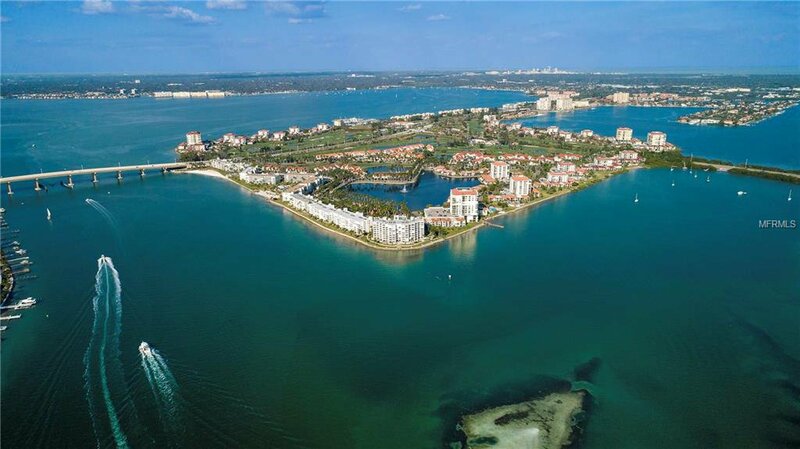 Just minutes from the Gulf Beaches, Ft. DeSoto Park, Pinellas Bike Trail, Isla Country Club, shopping & restaurants! Only 10 minutes to downtown St. Pete and 25 to Tampa International Airport! Available for immediate occupancy! FURNISHED (minus a few things- see list in MLS). Parking space #7.